This is a round Old South Beer porcelain sign. 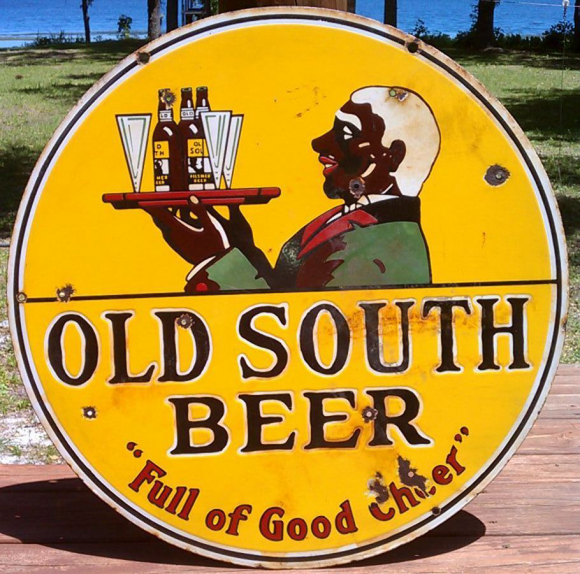 This particular Old South Beer sign is yellow with black and red text. It reads, “Old South Beer, Full of Good Cheer” and features a man carrying a tray of bottles and glasses in the center.